Section 1. Principal Office and Registered Office. The principal office and registered office of Kappa Omicron Nu (the 'society') shall be located at 1749 Hamilton Road, Suite 106, Okemos, MI 48864. This office shall be the business office of the resident agent, as required by the Michigan Nonprofit Corporation Act. Section 2. Other Business Offices. The Society may have business offices at such other places, either within or without the State of Michigan, as the Board of Directors (the "Board") may designate or as the business of the Society may require from time to time. Section 1. Membership Corporation. The Society is a membership corporation, with Active Members and National Honorary Members ('Members') as set forth below. Unless otherwise designated, all references to meetings of Members and other related provisions within this Article shall apply to both Active and National Honorary Members. Section 5. Dues. 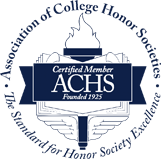 The dues, fees and assessments for each category of membership shall be determined annually by the Board. Annual dues shall cover the period of July 1 - June 30, which is the same period as the Society's fiscal year. The Board may use any reasonable method for determining the amount of the dues. Billing and collection of dues shall be determined by the Board. Nothing in this section shall prohibit the Board from setting varying dues amounts based upon different categories of membership.